At some point you may be on the receiving end of a debt collection phone call. It could happen any time you are behind on paying your bills or when there is an error in billing. In the U.S. there are strict rules in place that forbid any kind of harassment. If you know your rights, you can deal with debt collection with minimum hassle. Here are some suggestions. Ask for non-threatening transparency. 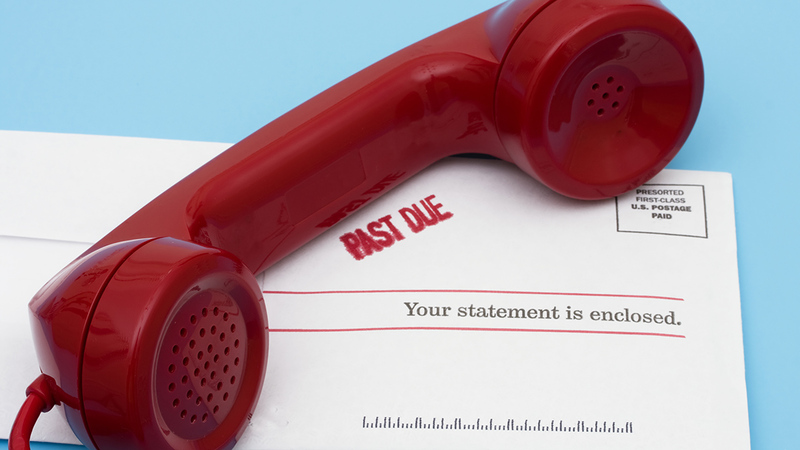 When a debt collector calls, they must be transparent about who they are. The magic words they must utter are: “This is an attempt to collect a debt and any information obtained will be used for that purpose.” In addition, debt collectors cannot use abusive or threatening language, or threaten you with fines or jail time. The most a debt collector can truthfully threaten you with is that failure to pay will harm your credit rating, or that they may sue you in a civil court to extract payment. Know the contact rules. Debt collectors may not contact you outside of “normal” hours, which is between 8 a.m. and 9 p.m. local time. They may try to call you at work, but they must stop if you tell them that you cannot receive calls there. Debt collectors may not talk to anyone else about your debt (other than your attorney, if you have one), but they may try contacting other people, such as relatives, neighbors or employers. This must be solely for the purpose of trying to find out your phone number, address or where you work. Take action. If you believe the debt is in error in whole or in part, you can send a dispute letter to the collection agency within 30 days of first contact. Ask the collector for their mailing address and let them know you are filing a dispute. They will have to cease all collection activities until they send you legal documentation verifying the debt. Tell them to stop. And, whether you dispute the debt or not, at any time you can send a “cease letter” to the collection agency telling them to stop making contact. You don’t need to provide a specific reason. They will have to stop contact after this point, though they may still decide to pursue legal options in civil court. If a debt collection agency is not following these rules, report them. Start with your state’s attorney general office, and consider filing a complaint with the U.S. Federal Trade Commission and the Consumer Financial Protection Bureau as well. If you need help with your IRS debt, please give us a call at (360) 671-0700 to set up an appointment, or send us an email using the form below. We’re here to help.